Many people know that sealing your pavers is similar to waxing your car, it keeps them looking new and shiny. While it is true that pavers are several times stronger than poured concrete, they still face many challenges. Sealing your concrete or brick pavers will protect them from fading, staining, growing mildew and much more. If your pavers are faded, or looking grayish to white, sealing will restore that rich and vibrant color. Sealing your pavers is the best way to maintain that new look of your driveway, patio, pool area, or walkway. It creates a clear semi-gloss finish, making the color brighter, while repelling grease, oil, and many common stains. Sealing also helps to maintain their durability, longevity and the overall aesthetic beauty. With over 30 years experience in the masonry industry, the last 25 in South Florida, Lyndon's Bricks & Stones provides a wealth of knowledge to help you select the right material for your project. We work closely with all facets of the design community including architects, landscape architects, interior designers, custom home builders, and individual home owners. We pride ourselves in helping you find the right product that sets your design apart from others. Every job we provide is custom to your needs and is ordered specifically for your project. DSI MARINE CONSTRUCTION IS A FAMILY OWNED AND OPERATED BUSINESS THAT HAS CONSTRUCTED MANY OF THE FINEST AND MOST COMPLEX OUTDOOR STRUCTURES IN SOUTH WEST FLORIDA OVER THE YEARS. LOCATED IN THE HEART OF MARCO ISLAND, AT 1757-A SAN MARCO ROAD. OUR FRIENDLY EMPLOYEES ALWAYS PLACE THE CUSTOMER FIRST, AND YOU CAN ALWAYS DEPEND UPON A HANDS-ON APPROACH FROM OUR OWNER. WE PERFORM BOTH COMMERCIAL AND RESIDENTIAL WORK AND NO PROJECT IS TO LARGE… OR TOO SMALL. DSI MARINE CONSTRUCTION IS A LEADING RESIDENTIAL, COMMERCIAL, AND RESORT MARINE CONTRACTOR WITH HUNDREDS OF DOCK AND SEAWALL PROJECTS TO OUR CREDIT. Stoneline Group LLC is a leading manufacturer, importer, distributor and wholesaler of the finest Travertine tiles, Honed Marble, Polish Marble, Limestone, Travertine Tumbled Pavers, Travertine pool copings and Decoration materials. 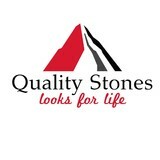 For over 30 years Stoneline Group LLC has offered excellence in quality and reliable service at unbeatable prices. Tuscan Paving Stone specializes in Concrete and Travertine Pavers for Driveways and Pool Decks. 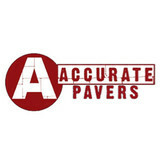 Remodel Pavers - FREE Online Estimates! Tuscan Paving Stone provides high quality paver materials & installation for residential and commercial applications. We offer a wide variety of paver shapes including the all new "Mega Olde Towne" and "Stonehurst". We also offer Tumbled Travertine Pavers in several shapes including the popular "French Pattern". Is it time you spruced up your outdoor living spaces? Creative Vineyards pavers, masonry contractors and stone suppliers can help. Professionals specializing in hardscape such as walkways, patios and retaining walls will work with you to design, plan, install and even fix your exterior and interior home projects. Read further to learn how to best find and work with Vineyards, FL stone, brick, paver and concrete contractors. From installing new exterior columns to repairing your chimney, masonry contractors can help you add both visual appeal and value to your property. They’ll know what kind of installation makes the most sense for your Vineyards, FL climate and regional style. Looking for something that will develop a patina with time? Or would you rather have your home feel brand new for years to come? Choosing the right kind of stone involves thinking about the future, too. Experienced brick suppliers and stone suppliers can help you find the material that will work for your home now and for years to come. These professionals aren’t limited to exterior work either. Whether you want a split-stone granite wall in the kitchen or need help installing traditional brick masonry on your fireplace facade, you’ll want a professional to get it right. If you’re already working with an architect or designer, he or she may be able to suggest a good Vineyards, FL subcontractor to help out. Here are some related professionals and vendors to complement the work of stone, pavers & concrete: Landscape Architects & Landscape Designers, Architects & Building Designers, Garden & Landscape Supplies, Driveways & Paving, Siding & Exteriors. Find stone, paver and concrete professionals on Houzz. 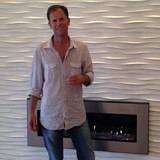 Search the Houzz Professionals section for Vineyards, FL stone, paver and concrete professionals. Browse photos and read reviews, and contact a pro if you like their work.